Sell Your Car in West Chester - Fast, Safe, Fair! 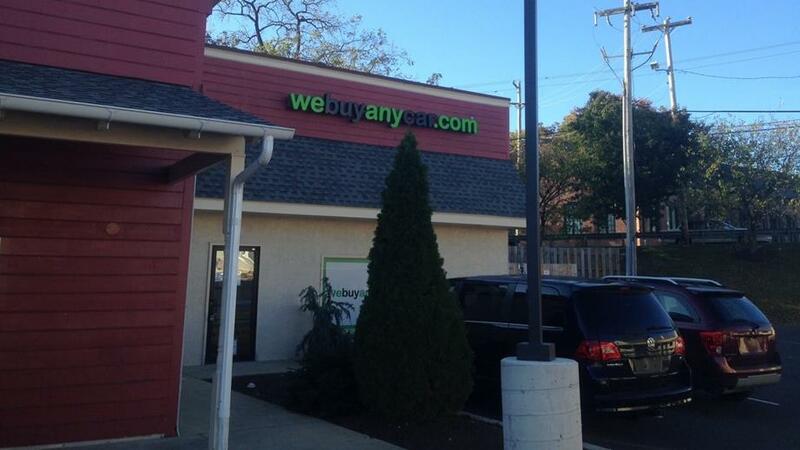 We Buy Any Car West Chester is located in the heart of Downtown West Chester in Cambridge Square Shopping Center. Selling a car in Pennsylvania can be stressful but our welcoming staff takes pride in providing every customer with a quick, hassle-free world class customer service experience. Regardless of model, age or condition, our dedicated staff will provide you with a convenient way to sell your car. You can walk away with a corporate check in as little as thirty minutes. Learn more about the current value of your car by using our free, online valuation guide. We've listed answers to the most common questions on the frequently asked questions section of the website but if you'd like to talk to someone, you can reach Kevin Rush who manages our West Chester car buying center at (484) 653-0770 during branch opening hours, listed above. You'll usually be met by Kevin Rush, who manages our West Chester branch. Kevin will firstly check your documentation to ensure you have the correct documents and proofs of identity and will then conduct a short inspection of your car to check its condition. This usually takes around ten minutes and you can accompany Kevin while your car is given the once over. Most customers choosing to sell their car at our We Buy Any Car West Chester arrange a ride from a friend or family member in advance of the appointment.Your branch manager has a list of public transportation options available to you. As soon as your vehicle has been inspected and the price agreed, we'll issue you with a corporate check on the spot that you can cash or deposit straight away.